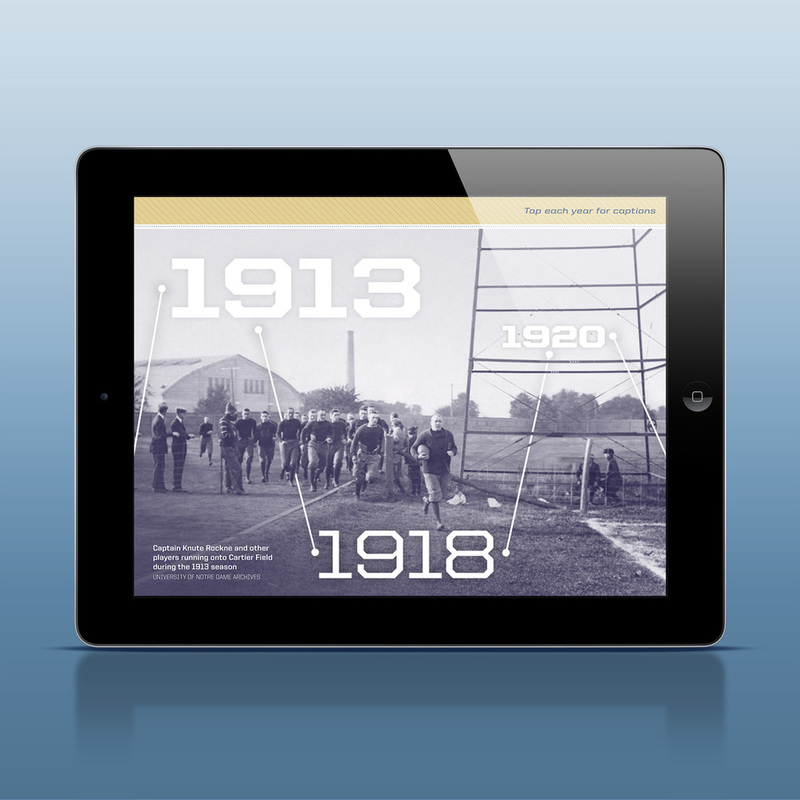 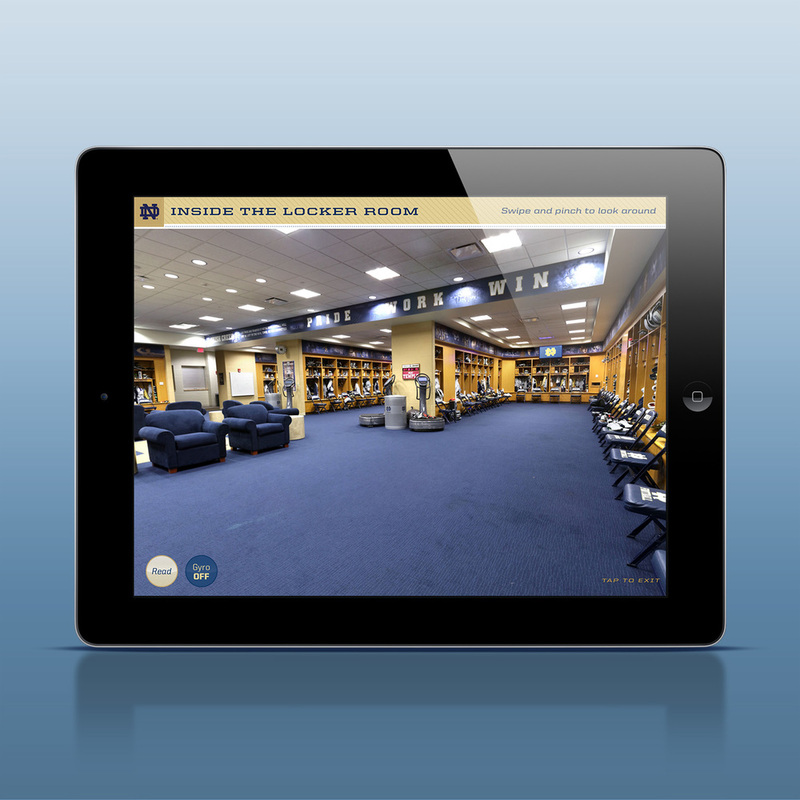 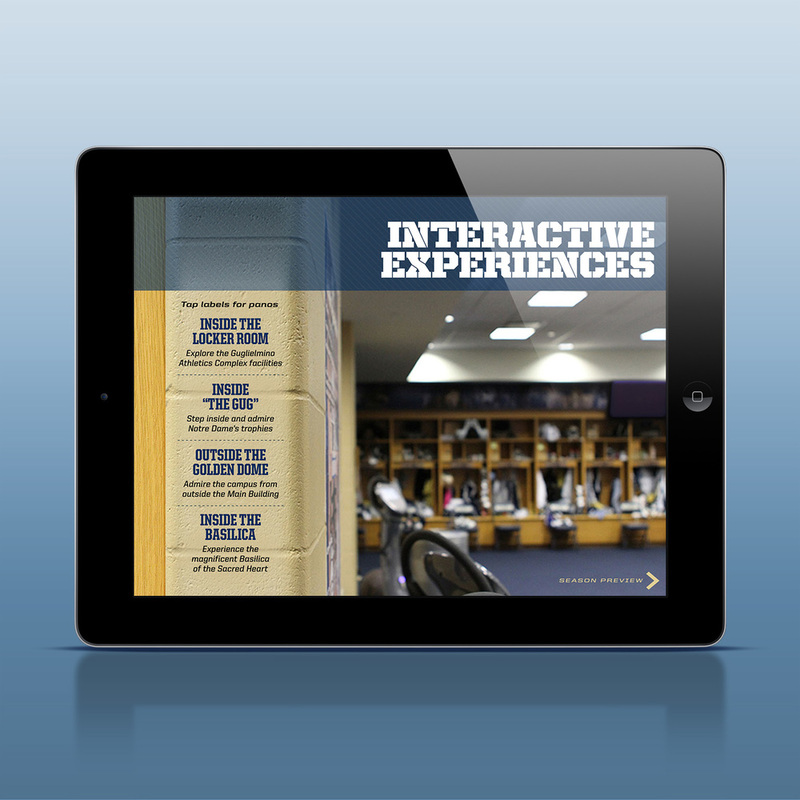 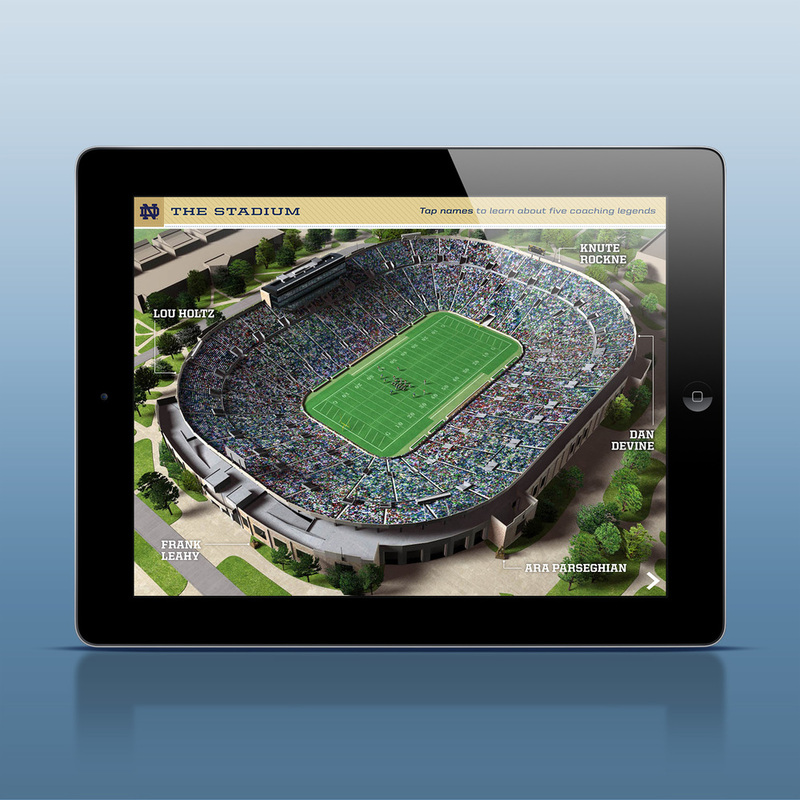 One highlight of the Interactive Yearbook — four gyroscope-enabled panoramas that put the user on the Notre Dame campus and inside some of the University's most hallowed spaces: the Main Building and its Golden Dome, the magnificent Basilica of the Sacred Heart, the athletics complex that houses seven Heisman Trophies and a National Championship trophy, and the Fighting Irish football locker room. 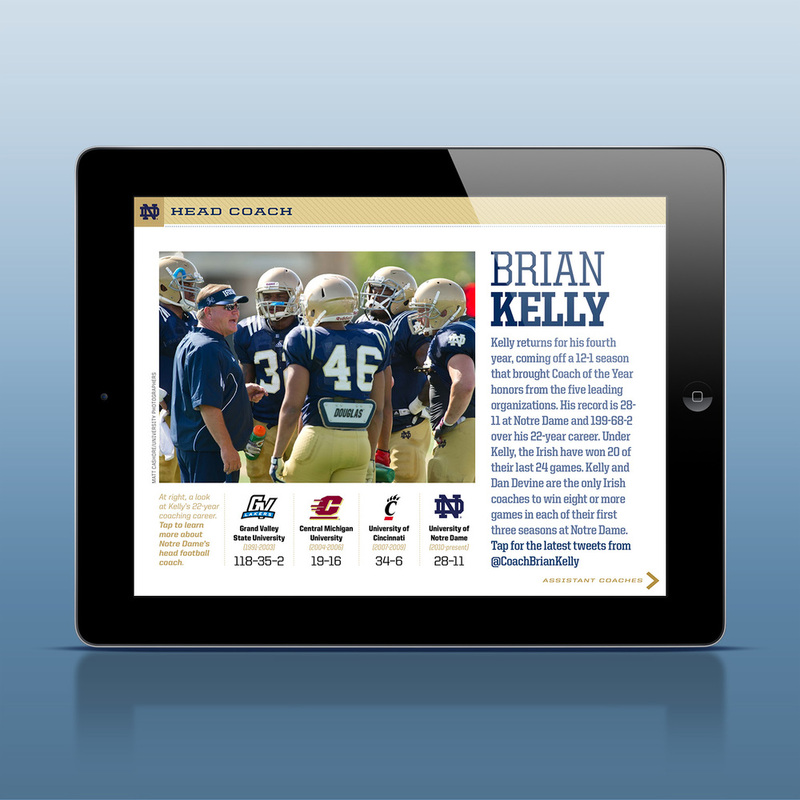 We began working with the University of Notre Dame in December as the No. 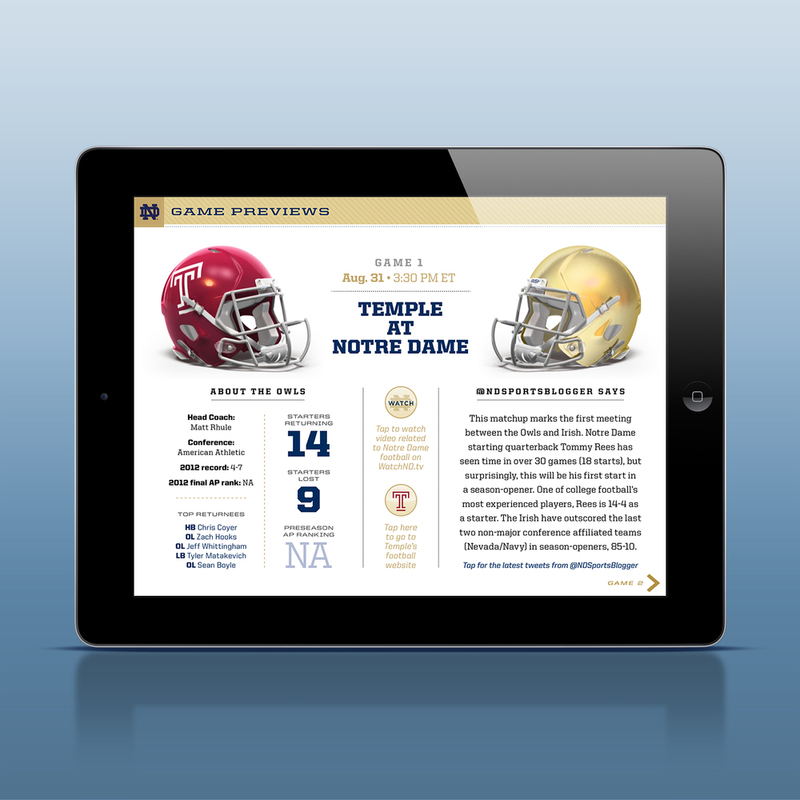 1-ranked Fighting Irish prepared for the BCS National Championship Game. 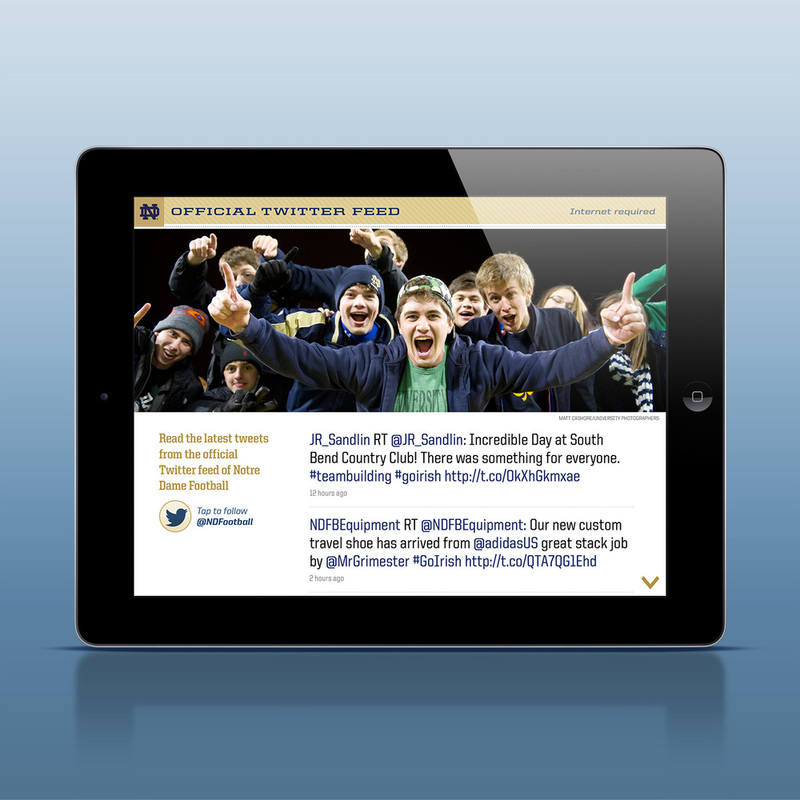 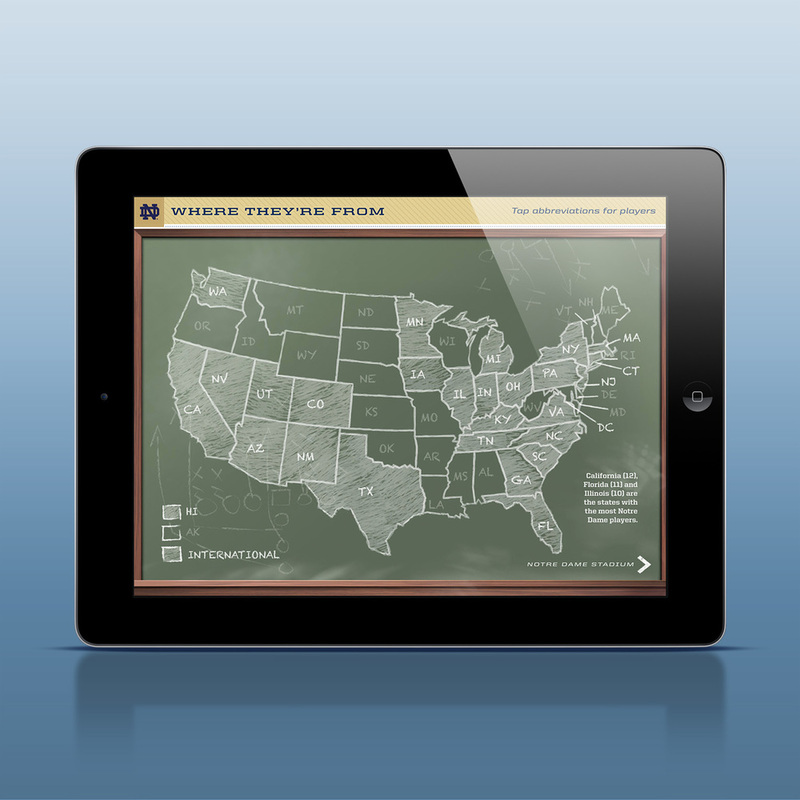 Then, we designed and developed an iPad app in just 11 days that helped galvanize fans worldwide. 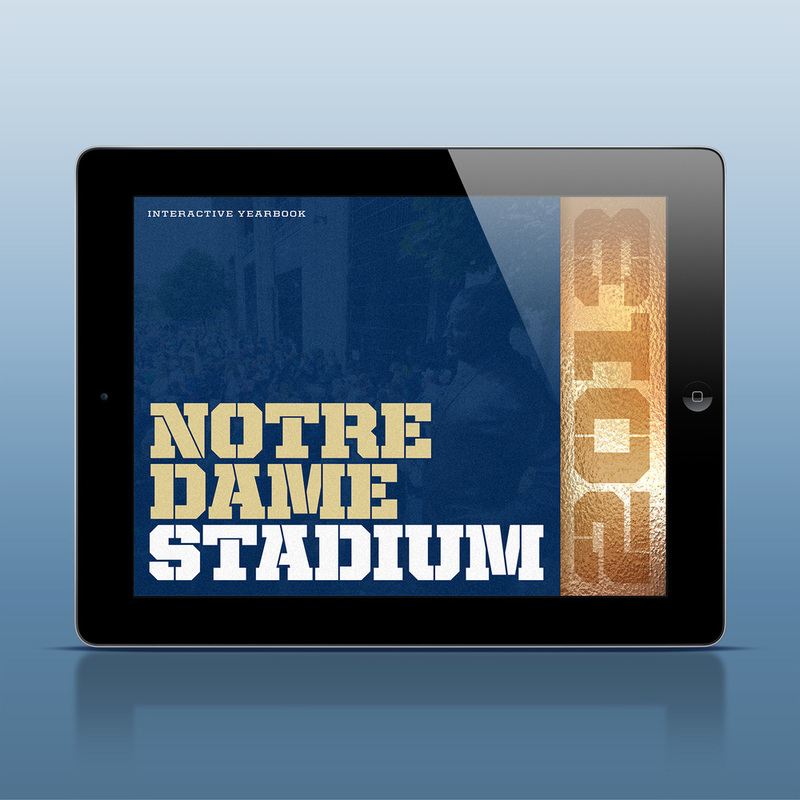 Fighting Irish Digital Media (FIDM), which creates multimedia for Notre Dame Athletics, reached out during the offseason to create something even bigger this season. 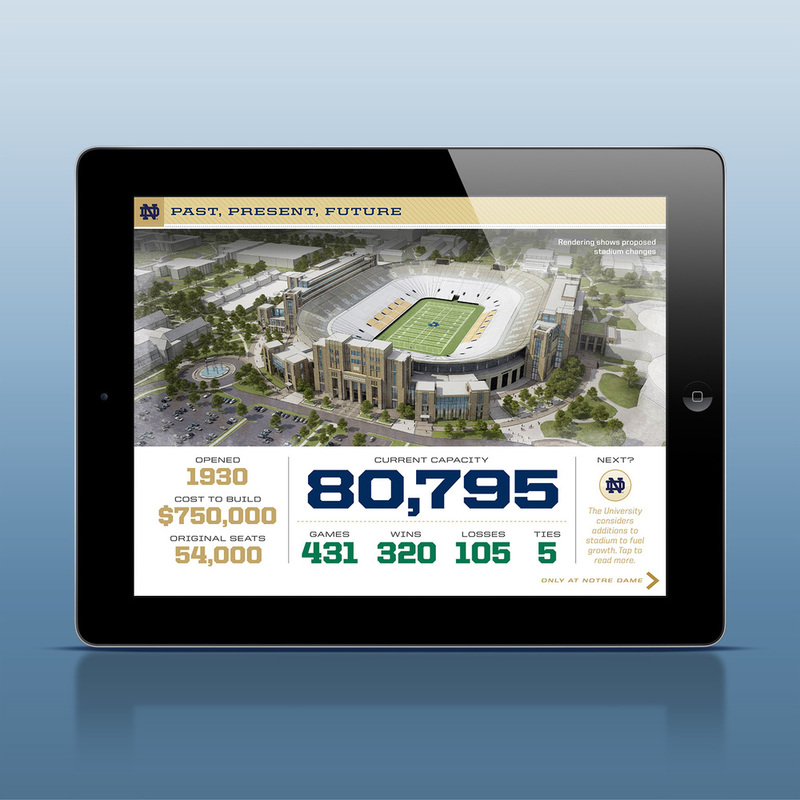 We thank Dan Skendzel and Tim O’Connor of FIDM; Matt Cashore and Barbara Johnston of University Photographers for their incredible pictures; Director of Football Media Relations Michael Bertsch; and everyone at Notre Dame who supported this app with their ideas and contributions. 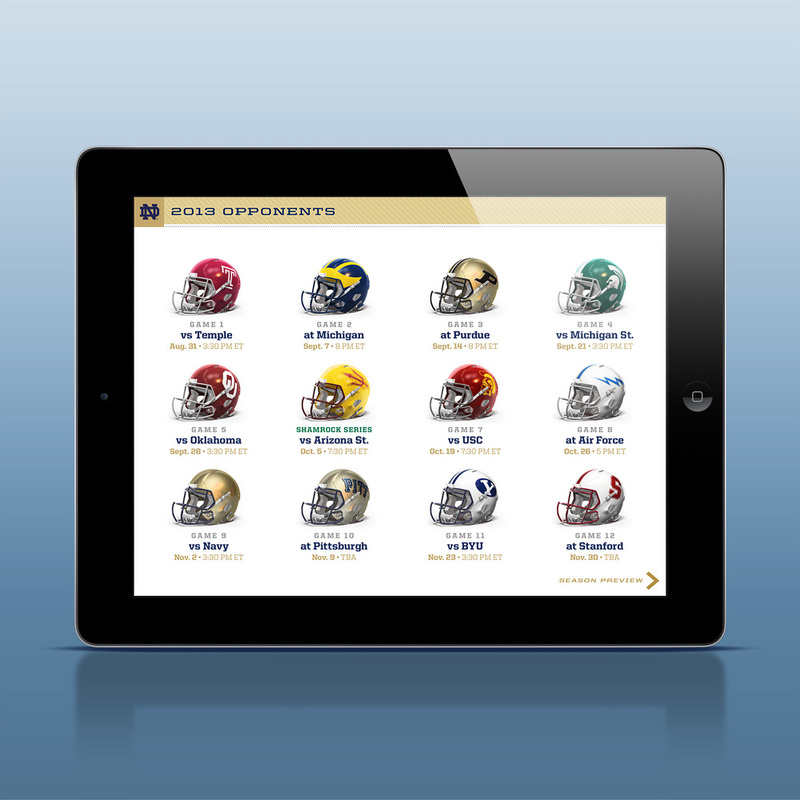 Congratulations as well to our own team at Joe Zeff Design, all of whom took part in the design and development of this extraordinary app. Next, we’re hoping to leverage the popularity of the football team to draw attention to the University’s other 25 varsity sports, and as well as its academic programs. 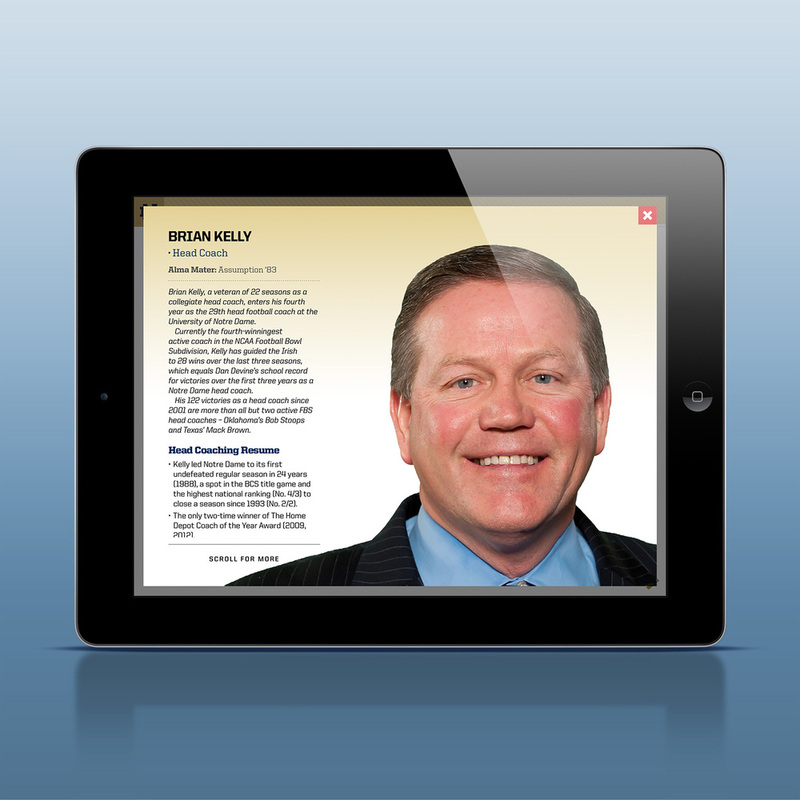 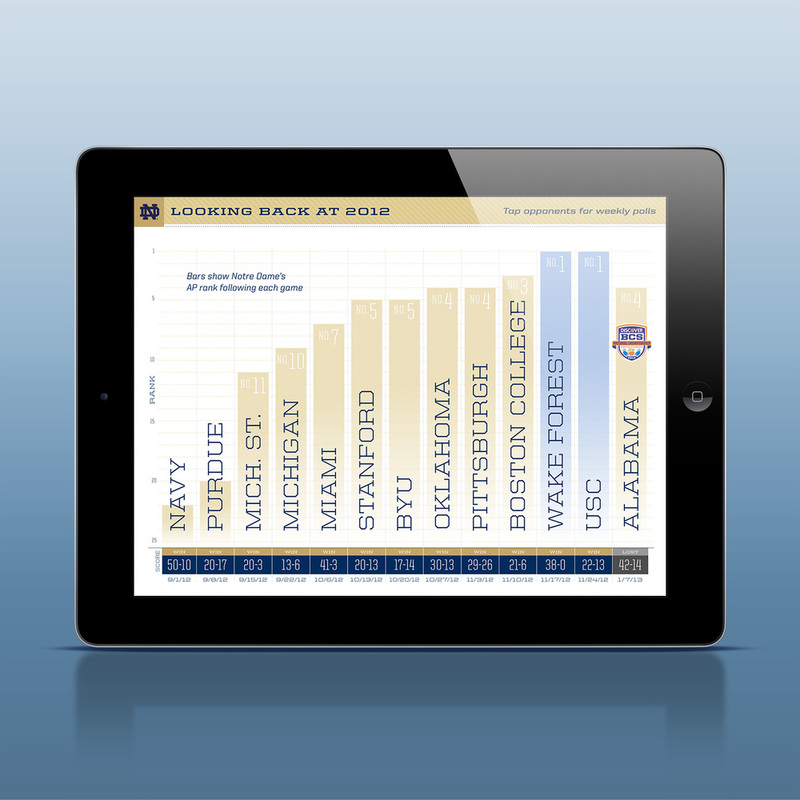 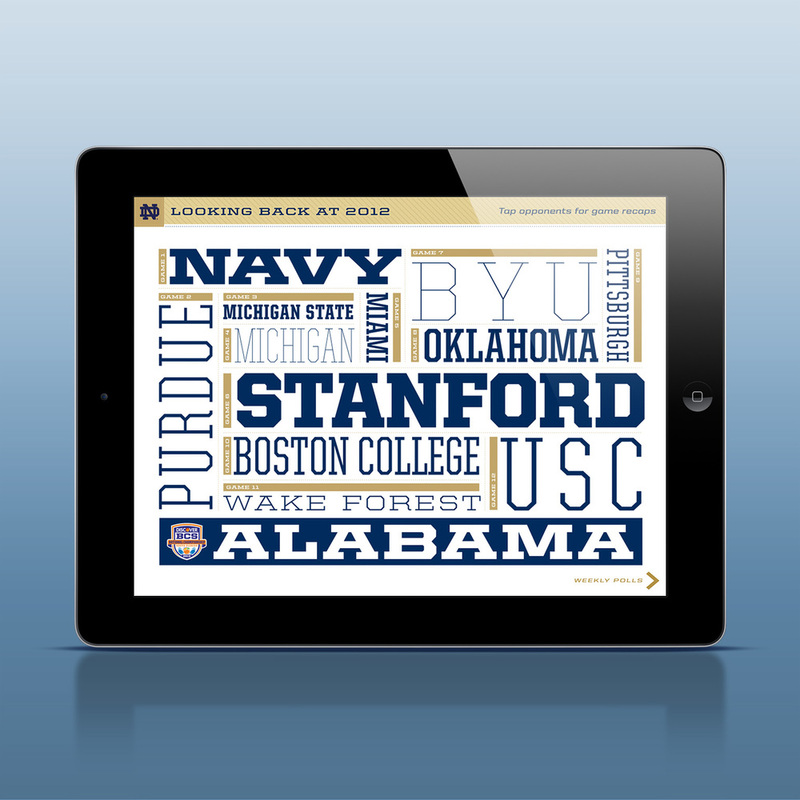 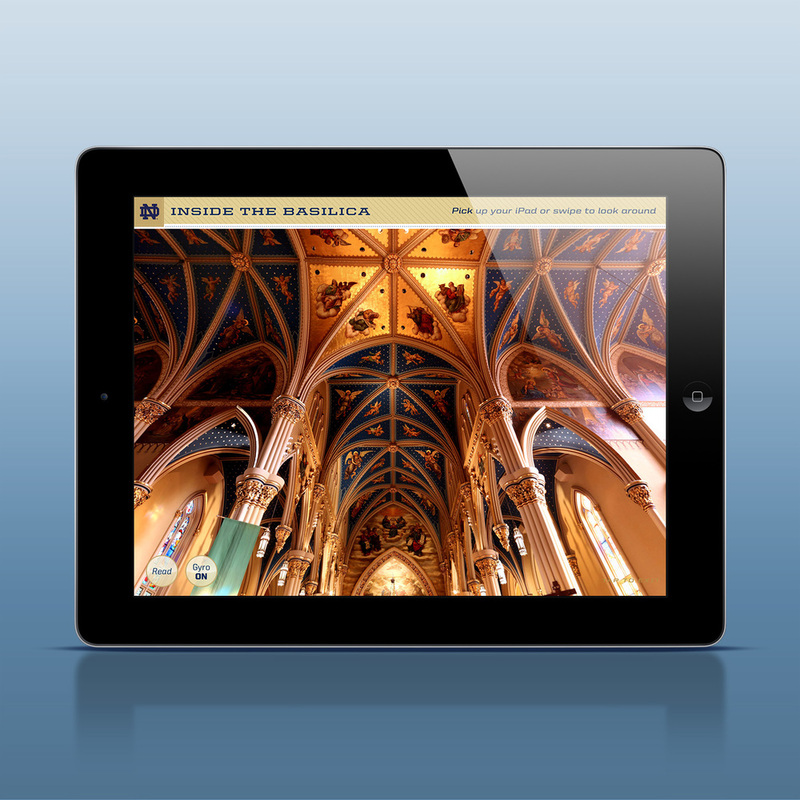 Stay tuned as Notre Dame demonstrates what’s possible for universities and the iPad. 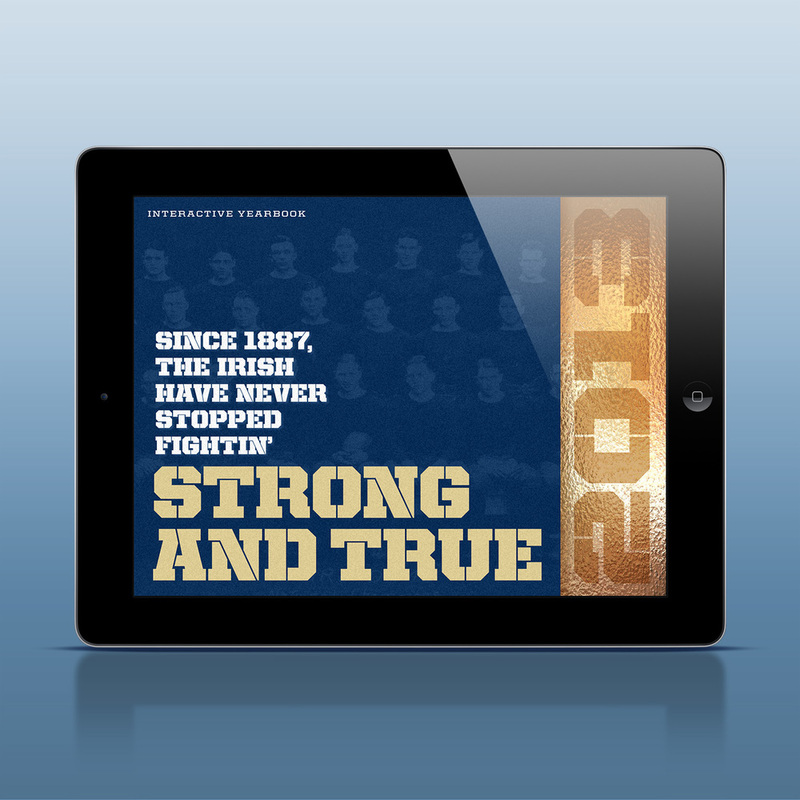 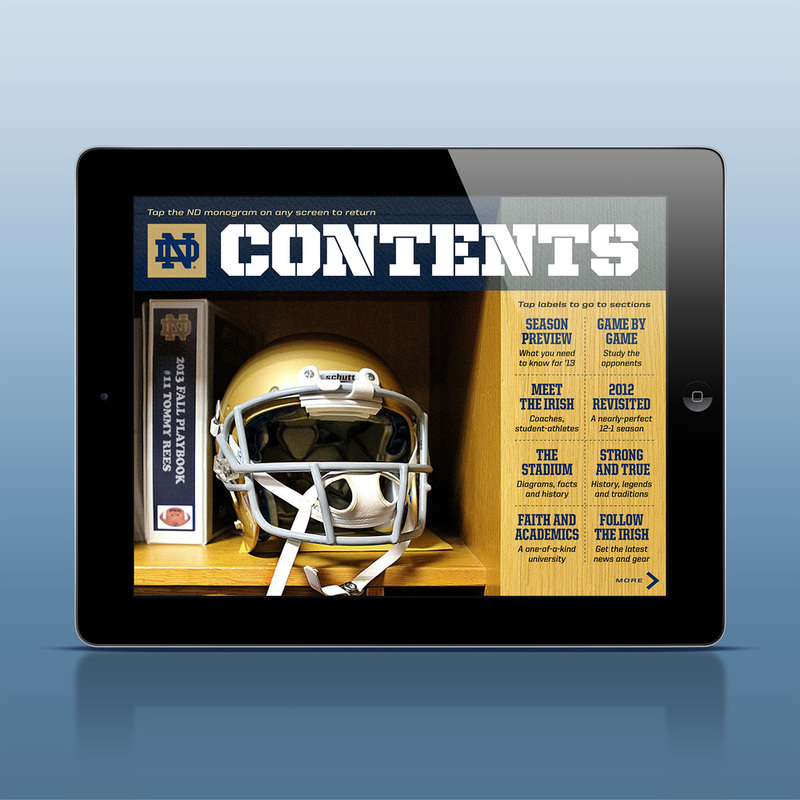 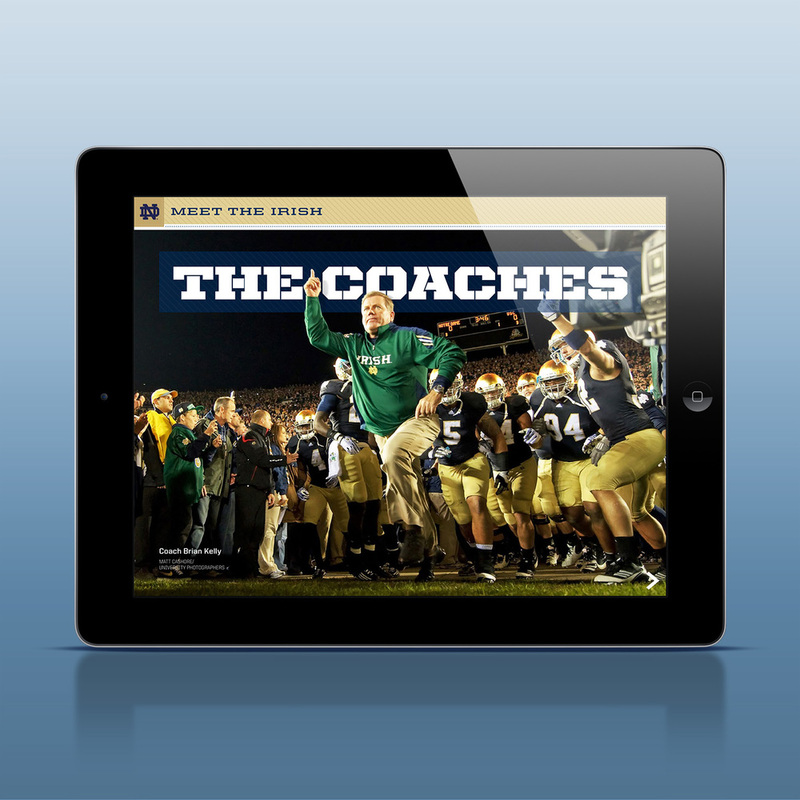 Below, a gallery of images from Notre Dame's Interactive Yearbook, but for the best experience download the app here.